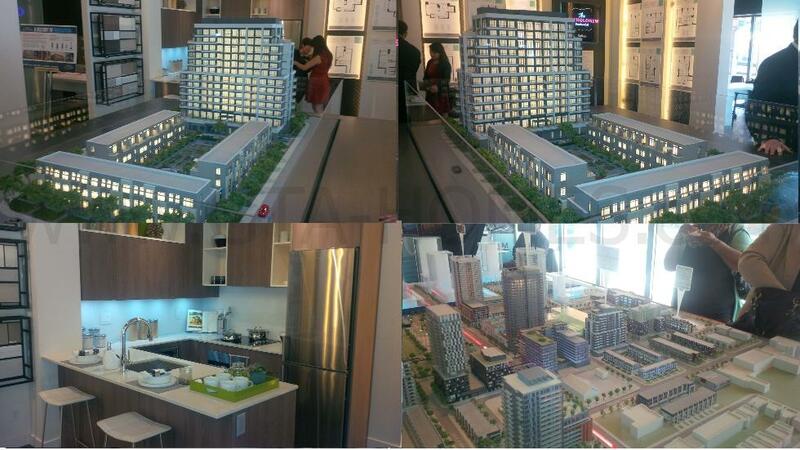 The Bartholomew Condominium Suite and Traditional Towns by The Daniels Corporation is currently in pre-construction at Dundas Street East and Regent Street in east downtown Toronto, Ontario. The Bartholomew Condos & Towns is part of the $1 billion Regent Park revitalization project that is expected to be completed within six years. This particular project by Daniels will consist of a 13 storey residential condominium and 3 storey townhomes located across the award-winning Regent Park Aquatic Centre. The Regent Park neighbourhood is very culturally diverse with over 60 different spoken languages in this community. This revitalization project will see a new Regent Park consisting of condos, towns, affordable housing, retail and community space for residents. The Bartholomew Condos & Towns is located near many schools, parks, shops and restaurants. It is also near the Riverdale Farm and the Toronto Eaton Centre. There is accessible public transportation with easy access to the Don Valley Parkway and the Gardiner Expressway. Queens Quay and the Lake Shore Boulevard is just situated to the south of the site. The Ryerson University and the University of Toronto is located nearby. The Bartholomew Condos & Towns is also located near historic areas in Toronto such as the St. Lawrence Market (the world's number one farmer's market according to the National Geographic) and the Distillery District (home to many of "Toronto's hottest designer boutiques, unique cafes, artisan shops, breathtaking art galleries, performance venues and award-winning restaurants") is located only about a 20 minute walk away. Register with us today for the launching of The Bartholomew Condos & Towns at Dundas Street East & Regent Street in Toronto! 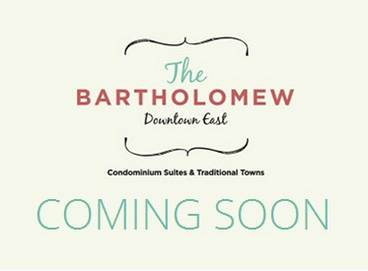 Register today for The Bartholomew Condos & Towns by The Daniels Corporation!